Mike Littrell, Former Ayer Store Manager and representatives from Hannaford corporate offices, Brian Fabre, Jeffrey Castonguay and Michael Norton presented a donation to Patricia Stern, Executive Director and Paul Niemira, Food Coordinator. 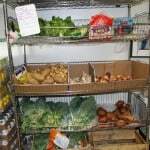 Hannaford Supermarket in Ayer has supported Loaves & Fishes for many years and we are sad to see this Hannaford’s location close. 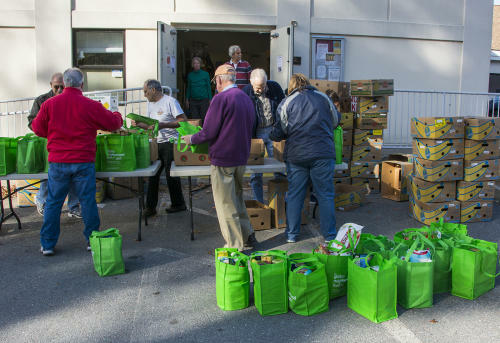 On behalf of our Board of Trustees, staff, volunteers and clients, I want to take this opportunity to thank our good friends at Hannaford for over 30 years of partnership in lifting and feeding our neighbors in need. The Ayer Hannaford’s monthly donations of approximately 1,200 pounds of frozen meat allowed us to provide a valuable protein component for our clients. Our partnership also included the implementation of a milk voucher program that provided our clients with a discount on the purchase of milk products. In addition, Hannaford always generously supported many Loaves & Fishes special events by providing refreshments to our hardworking volunteers. A very special thank you to the manager of the Ayer location, Mike Littrell. Mike’s professionalism and dedication to the community is noteworthy and he has been a pleasure to work with—continually epitomizing the true meaning of generosity. We wish him well as he moves on to his next assignment. 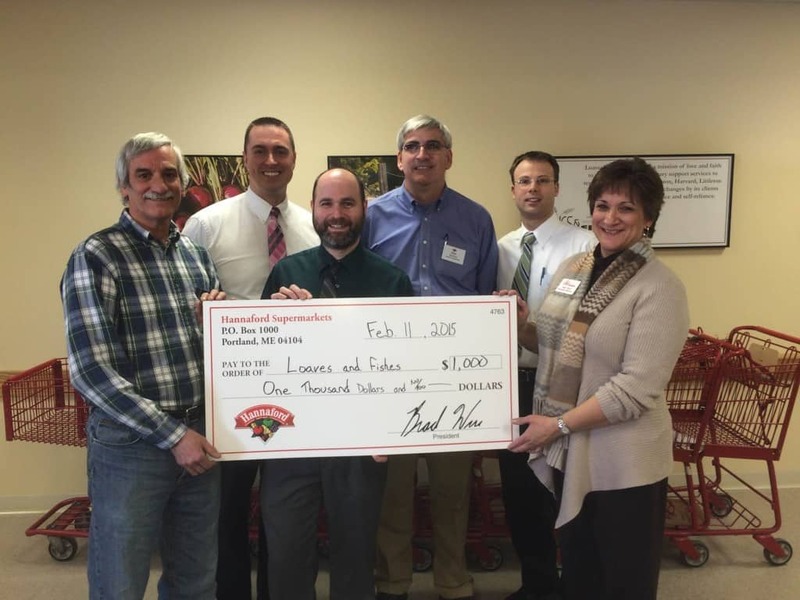 We are truly grateful to the entire Hannaford organization for supporting Loaves & Fishes and the community at large. This small grocery store has been a pillar in the community and will be missed. 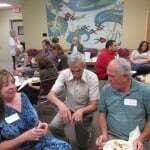 On Wednesday, September 24th, many of you joined us at the Legislative Business After Hours event hosted by the Nashoba Valley Chamber of Commerce and sponsored by Mount Wachusett Community College. We want to thank NVCOC for the opportunity. A very special thanks goes out to Lucia’s Tavola of Ayer for their donated catering services and staffing for the event, and to Sweet Creations by Gloria of Leominster for donating delicious treats. Thanks to all who participated and came to see how we work.